Well before John and I embarked on our own nomadic adventures, we noticed a strong sense of community among our fellow nomads. Back when we were bright-eyed noobs sporting a brand new 1996 Chevy van, we were connecting with vanlifers on social media and via Skype. And everyone was incredibly helpful answering any questions we had. We felt genuine excitement and encouragement about helping someone else break the chains and follow their dreams down the road. 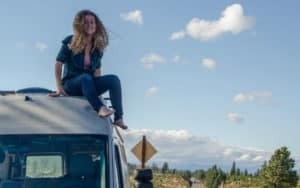 Vanlife is truly awesome, and it’s the people that make it so. 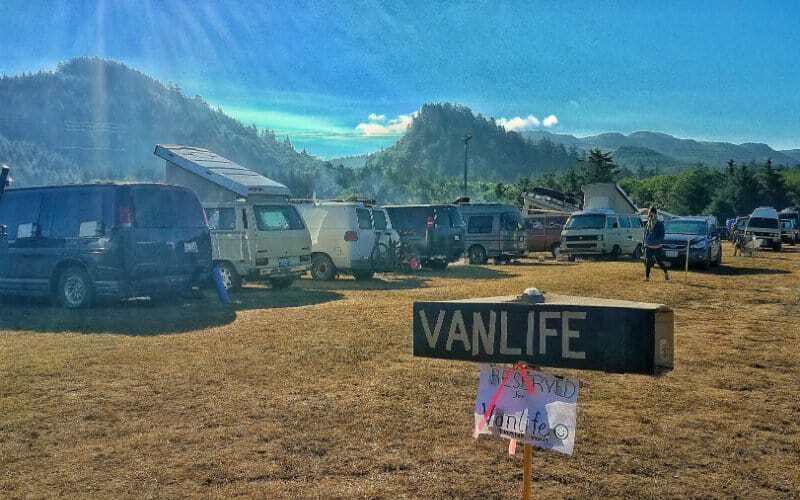 It wasn’t until we had been on the road for four months that we finally met other vanlifers in person. 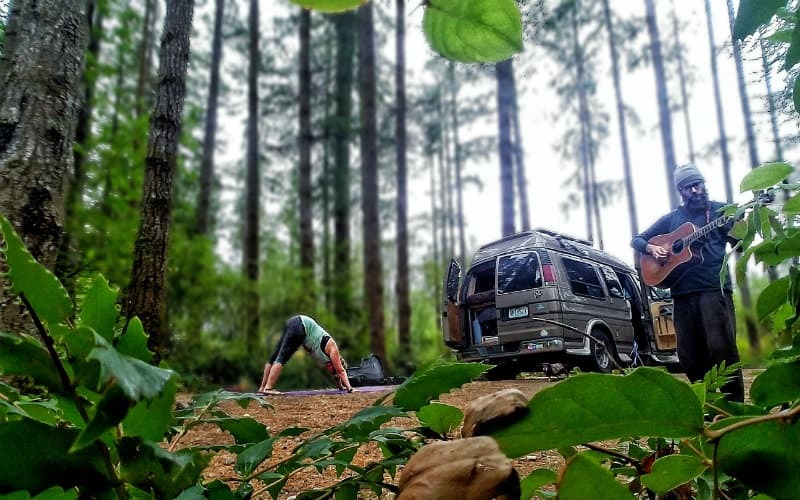 We attended the @vanlifediaries meetup at Neah Bay, WA hosted by our friends @wheresmyofficenow, and we were just blown away. It was like we had all known each other for decades as we embraced upon arrival, thanks to the relationships we had forged on Instagram and our shared love of adventure, the wild, and personal freedom. We danced, we sang, we laughed and drank, lived and loved as deeply as we could. The connections we made were not brief and in passing, they were true and genuine, and continue to this day. The feelings of excitement and love lingered long after, and we realized that this is a true community filled with caring, unique, motivated and inspiring people. 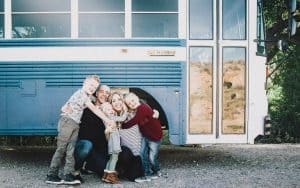 For us, the vanlife community reminded us a lot of the family-like friends we gained during our time in AmeriCorps NCCC. We thought about all of the powerful and awesome things we were able to accomplish in the service of others when that community came together with common ideas and motivation. And we thought, how can we bring our new nomadic community together to give back in some way? 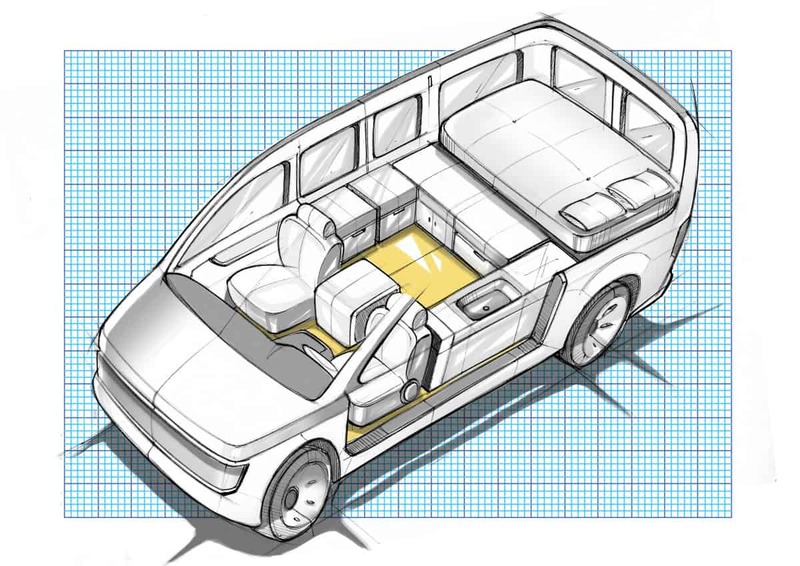 And thus, United We Van was born. We all have our own ways of traveling, working, and exploring. You could be rocking an ‘87 Westy, an ‘03 Sprinter, a bicycle or a Honda Civic. Some of us work more than we explore, some of us rock climb six days a week. Some of us have driven coast to coast eight times this year, and some of us haven’t left California. We are all so different in our individual journeys, but we also have so much in common. Our curiosity, our thirst for adventure, our motivation to create our own lives and make our dreams into reality. And we all make use of public lands. 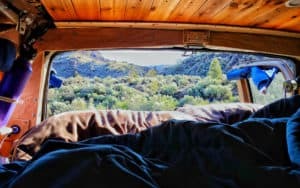 It’s nearly impossible to live a nomadic lifestyle and not benefit from public lands in one way or another.These places are our homes just as much as our vehicles are. We eat, sleep, live, and adventure on public lands, often for free. 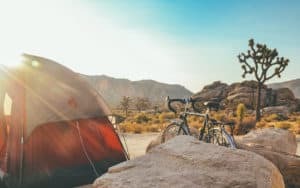 From secluded campsites to beautiful vistas, from swimming around a hidden waterfall to hiking our first fourteener, public lands give a lot to the nomad community. We explore in these places. We seek comfort in these places. They are our driveways, our living rooms, our bathrooms, our playgrounds. These are the places we go to grow. These are the places we call home. United We Van is about all of us nomads joining together as a community and using a bit of our time, talents, and energy to give back to the natural places that give so much to us: our public lands. The idea we had was simple: collaborate with the nomad community to create fundraising projects to raise money for public lands. We would organize the project, collaborate with contributors, and decide together where to donate the proceeds. We had so many ideas for projects, but we couldn’t decide which one to tackle first. We wanted it to be something useful for this lifestyle, something that all of us could get excited about. Just scrolling around on Instagram, it’s easy to get inspired by the passions of other nomads and how beautifully they are portrayed. Our community has some awesome yogis, mechanics, musicians, artists, and chefs. “There’s got to be a way to bring all of us together as a community to positively benefit our natural areas…” We were having this discussion one evening while cooking dinner next to a beautiful lake in the midst of a national forest in Montana. Then it hit us: Ah! Yes! 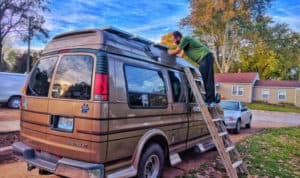 A vanlife cookbook! 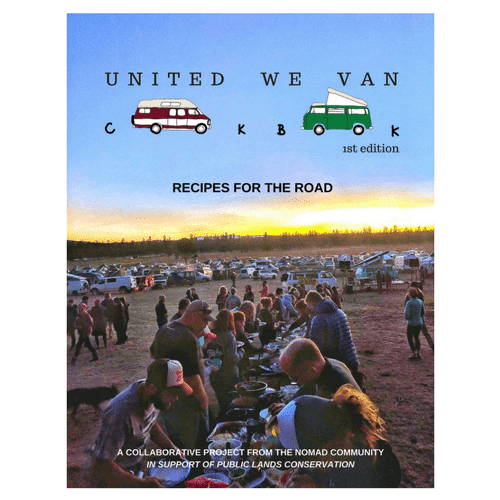 That brings us to our first United We Van community collaboration – the United We Van Cookbook! This ebook cookbook features over 100 pages of incredible recipes from more than 30 experienced vandwellers from all over the world. These are meals that we all actually cook in our vans, so they’re great for cooking on the road. And it just so happened that the majority of the recipes are vegetarian, so they’re not only delicious, they’re also healthy! From tacos and quesadillas, breakfast dishes, pastas, stir fries, and even beverages – this cookbook has it all! We have to say, we’ve never been this hungry working on a project before. We were worried we’d have to get a new computer because we spent so much time salivating all over our current one. And while the recipes are amazing, what really makes this project special is where the proceeds are going. We are donating 100% of of the proceeds of this cookbook to The Nature Conservancy, an awesome organization that does tons of work worldwide to preserve and protect our public lands and natural spaces that we all live on and enjoy. For updates on future United We Van collaborations (and some awesome vanlife content), be sure to follow @unitedwevan on Instagram. 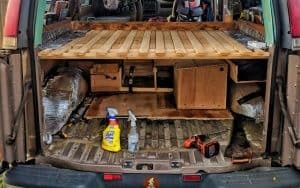 And for detailed van build guides, travel updates, and tips for life on the road, don’t forget to follow us @gnomad_home and on Facebook. Cheers!